Mahendra Kumar has recently been selected for a job at a car showroom. He is happy that he can now support his family with his own income. He had been working hard for past few months to be eligible to get that job. He had been undergoing training as a showroom host at the Livelihood College of Jashpur. 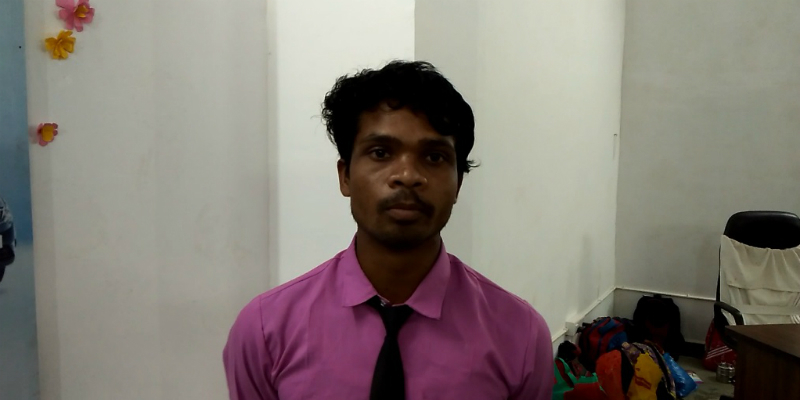 Mahendra took up the course of Showroom Host/Hostess after looking into various courses offered at the Livelihood College, Jashpur. The Livelihood College offers various professional courses aimed at various industries. These industry specific courses are designed so as to make the youths employable in those industries. The college is fully residential and the study materials are provided to them free of cost. From a number of courses, Mahendra chose the Showroom Host/Hostess course because it suited his interests. The course has taught him how to be an efficient showroom host. “They taught us how to talk to people. We were also taught how to properly greet customers and also to explain things to them, answer their queries and also to keep calm when the customer is not very friendly. It was a great learning experience and I have gained a lot of skills. It has also increased my confidence level and I know that I will also be able to do well in other fields with this training.” He says. Mahendra is now getting ready for the new job. He is ready to take up new challenges and new responsibilities to embrace a new life. The Livelihood College has changed his life. “Without the training provided at the Livelihood College, it would have been impossible for me to get this job. I owe it to the Livelihood College.” He says. The Livelihood College is an initiative by the Skill Development Authority of the Chhattisgarh government. Every district of the state has one Livelihood College campus. The Livelihood College is a concept that has been shaping the lives of many young men and women in Chhattisgarh. Many youths have undergone training in these courses and have also been successful in getting jobs after completion of the course. The Livelihood College also offers placement support to the trainees. The Livelihood College aims to train the youths of Chhattisgarh in various skills. The primary objective of this skill development initiative is to turn Chhattisgarh into a hub of skilled manpower. This objective is in tune with the emphasis given by the government of India on skill development. The Prime Minister of India has also emphasized on his vision to turn India into a global supplier of skilled manpower. Various courses of Livelihood College are helping in realization of this dream. Mahendra is one among a lot of youths being benefited by skill training in the Livelihood Colleges around Chhattisgarh. These youths have been successful in getting various jobs related to different industries. The youths from all over the state come to the Livelihood College to get training in different skills and build a great future.